A Flood of Memories | THE RAVING PUNDIT: HOW I GOT SO SMART (IN MY OLD AGE)! 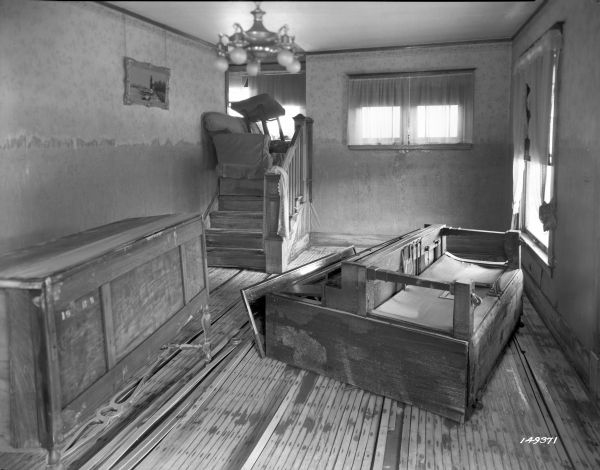 From the lodge……..the flooding just recently all through the Midwest has brought memories of the great flood of 1937 in Louisville, Kentucky. It started raining the first week in January and rained every day for several weeks. There was news of flooding up river, which most certainly would impact us very shortly. In a matter of days, people were forced to vacate from low areas where water was rising rapidly. 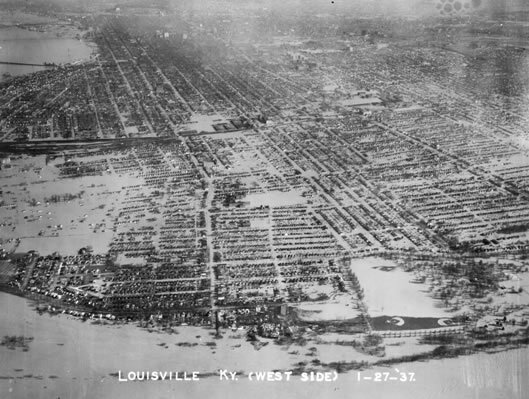 Soon, the Ohio River was backing up in many places in Louisville. We stayed in our little house at 1814 Garland until the water was in our street. When mom decided it was time for us to leave and go to Uncle Raymond’s, we stacked small things on the kitchen table, the beds, the buffet and anything that we could put things on to keep them out of the water. There wasn’t much room to put things up on. I had to choose to save my stamp collection or my Photoplay movie magazines with my pictures of George Raft. I chose my George Raft collection only to find out later my brother had taken my magazines off the table and replaced them with some of his stuff he wanted to save. Didn’t do him any good. The box got wet and everything he had in the box floated away. I found my magazines and my collection of George Raft pictures all over the yard and house. My heart was broken. We packed a few changes of clothes and walked the five blocks down Garland Street to Uncle Raymond’s house where we were joined by several other relatives. We knew everything would be OK there because his house was a two story house and we thought we would be back home in a few days. Boy, were we ever wrong! After a few days the rain continued to back up from the river, conditions grew worse and the water began to cover the street, sidewalk, front yard and creep up the porch steps. I remember sitting with Uncle Raymond on the roof of his front porch and we saw several dead dogs floating in the water. Many people claimed to have seen bodies floating by, but while many were rumors, some accounts were verified. They were elderly people for the most part; they just could not hold on, while waiting to be rescued. The Coast Guard was now bringing us news by boat and told the adults to be ready because we would have to be moved to a safe place. That evening about seven the Coast Guard came to get us. It was dark and cold and for a 13 year kid, very scary. 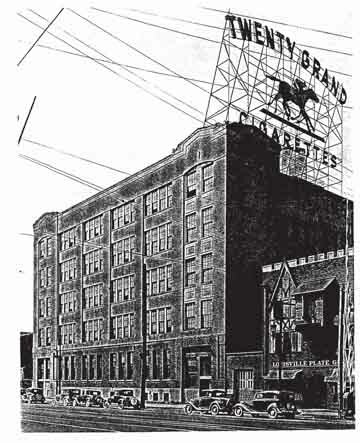 They took us several blocks east to a tobacco plant called Axton Fisher at 14th and Broadway. We were told to find a location inside for our family that would be our spot while we were there. We settled in and the grownups tried to make life as normal as possible. A neighborhood doctor was there to give everyone shots which the kids tried to avoid but to no avail. At first it seemed like a fun adventure, but we soon grew tired and wanted to go home. On the fifth night those of us that were sleeping were awakened by a tremendous explosion and the entire night sky was a glowing orange red. It looked like the entire city was on fire. We soon learned a paint and varnish plant had an explosion and was burning. 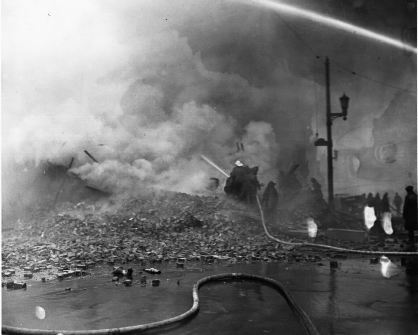 In spite of being surrounded by water it took two days to completely extinguish the fire. The water was still rising and our location had too many people. Some would have to be moved. By the luck of the draw our family was told we were to be moved but no information was given as to our destination. We had one hour to gather our things and get lined up to leave. 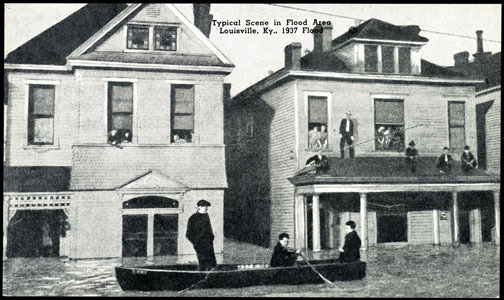 The windows were taken out of the frames on floor right above where the water had risen to and the boats just came right through the open window into the building to pick people up, then turned around and went back outside. Our family, Aunt Mamie, Uncle Raymond, my mom, brother, Aunt Jo, Uncle Charlie and their son Charles all went in the same boat. The man in charge gave us instructions. He told us to lay as flat as possible in the boat because we were going up Broadway and we would be going closely under utility lines. Touching them could be fatal. He told us Army trucks would take us to our next location. He said the water was still rising and almost the entire city was being moved to higher ground or taken to another location outside of the city. At a time of unusual and extreme events, someone always emerges as a voice of calm and hope. 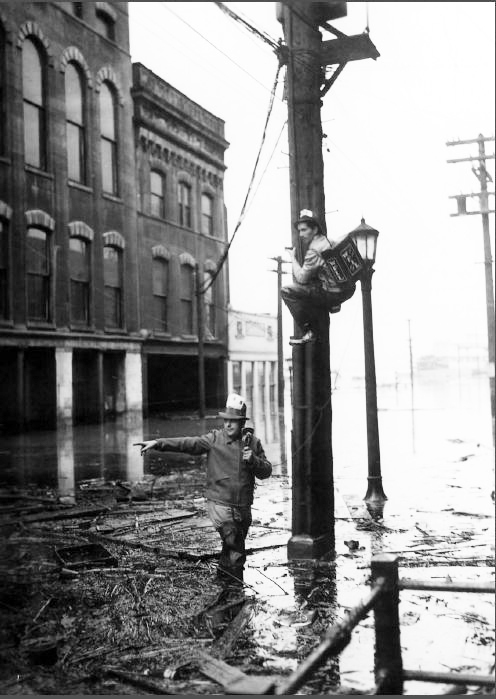 During the 1937 flood that hero was WHAS radio broadcaster named Pete Monroe. He stayed on a short wave radio for 188 hours taking calls from the community to “send a boat!” or to inform rescue workers. He became the voice of the rescue efforts and dearly appreciated by just about every one in Louisville Kentucky and surrounding areas. (He died later that year, in December 1937, at the age of 29 from an infection.) Here he is with Foster Brooks, also a WHAS reporter, working during the flood. We made it safely up Broadway although I was terrified, but so were the adults. 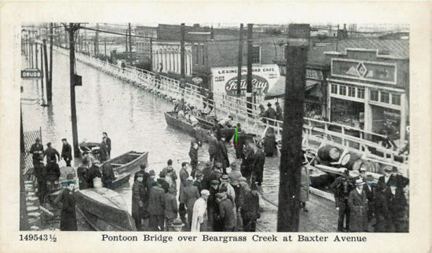 The boat took us to what was called the Pontoon bridges, which were planks of wood positioned over huge containers. My mom and I were put in an Army truck and my brother and other family members were taken to other trucks and we did not know where our family was going or when we would see them again. As it turned out, mom and I ended up in Elizabethtown, KY where a family was waiting to take us to their home. We stayed with the Sizemore family for ten days and then were allowed to go home. When we arrived back home, everything was a mess. Our house had been under three feet of water and when the water receded it left about one foot of mud on everything. Needless to say it took us many hosings down and many buckets of soapy water and hours of scrubbing to make our little “Shotgun cottage” livable again. But, with mud and all, when we walked up that walk on returning from what we had been through, our home looked like a mansion from a fairy tale. Just as happens when events like this occur, there was some looting of neighborhood stores, but, in most cases, the looting was for food or clothes. Some who took food from the neighborhood grocery left notes promising to come back and pay for what they took. Mom cleaned our cook stove first. She found a big bag of northern beans in our pantry and a can of Spam and a sprouting onion and she made a huge pot of bean soup. Every one on our block was cleaning just like we were so she served everyone bean soup. It was too cold to eat outside but the firemen at Engine Company #17, just a few doors down from our house, invited all the neighbors to come inside the fire house and eat mom’s bean soup. They had made a tray of cornbread; this was the first meal after returning home for all of us. Plans were made sharing that soup to help each other out until all our houses were clean and safe to live in. Now years later I know the meaning of “It was the best of times and the worst of times.” As neighbors we became the best of friends. Our family all made it safely back, unlike many families who lost family members by drowning, by accidents or by illness. I did a lot of growing up in that short time. I understood a lot about what family was about, a lot about strangers putting their lives on the line to help others and not taking time and “stuff” for granted. This entry was tagged 1937 flood, Floods, foster brooks, louisville, pete monroe, West End Louisville. Bookmark the permalink. Dear Aunt June: I have heard many accounts from mom on what she and her family went through during the flood. I looooove all of your stories! Hope you relay many more for all of us to enjoy. I loved this story. It was really interesting. 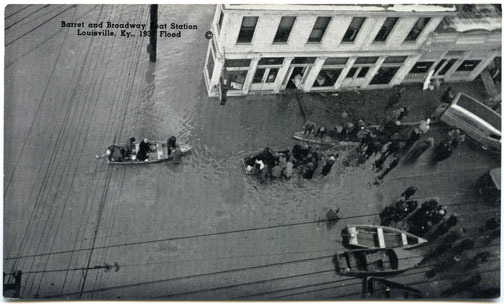 As much as I’ve heard about the ’37 flood, I never knew any details. I liked the bean soup and cornbread in the firehouse the best! P.S. Junior Pundit’s photo editing isn’t too shabby either!